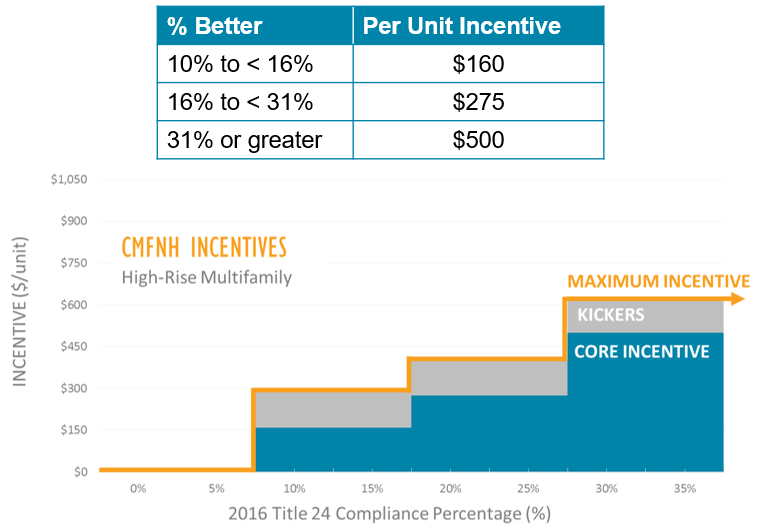 California Multifamily New Homes (CMFNH) developers work with Title 24 consultants to model buildings in comparison to the 2016 Title 24, which took effect in January 2017. Title 24 consultants must possess either a 2013 or 2016 California Certified Energy Analyst (CEA) certificate. The program evaluates low-rise buildings based on a score called the Delta Energy Design Rating (EDR). As the Delta EDR score increases, so does a building’s incentive. Buildings must achieve the minimum Delta EDR score of 3 to qualify. 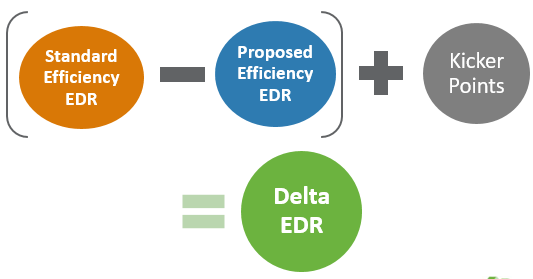 To calculate your Delta EDR score, you must subtract the Standard Efficiency EDR (formerly Design) from the Proposed Efficiency EDR (formerly Design), then add any kicker points that apply. The program evaluates high-rise buildings based on percent better than 2016 Title 24 code. Participants can increase their Delta EDRs and raise their incentives by increasing the energy efficiency of their buildings. 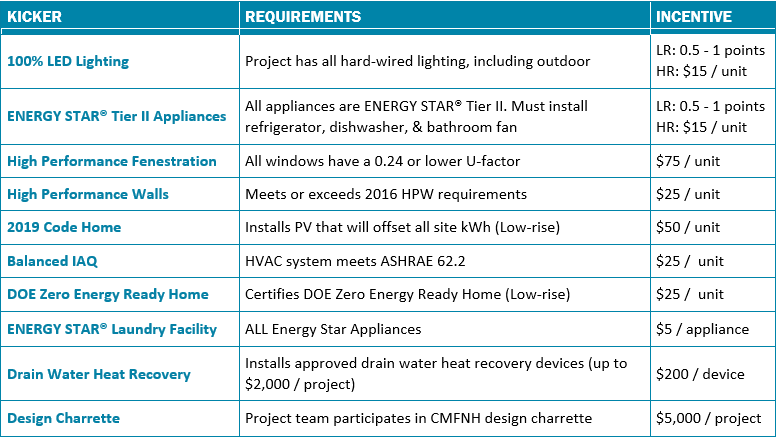 Certain energy efficiency measures are eligible for additional incentive kickers (per unit).